GYSELAAR (GIJSELAAR), Johanna Maria Nicoletta de. Gorkum, Leiden, Warmond, Delft, Amsterdam, The Hague, Laarwoude, Zuidlaren and Assen, 1800-1805. 8vo (14.5 x 10 cm). 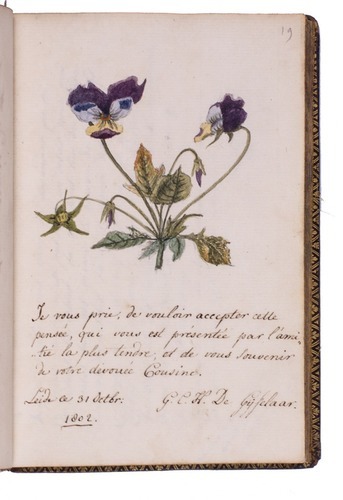 Manuscript album amicorum on paper, with entries in Dutch, French and German. 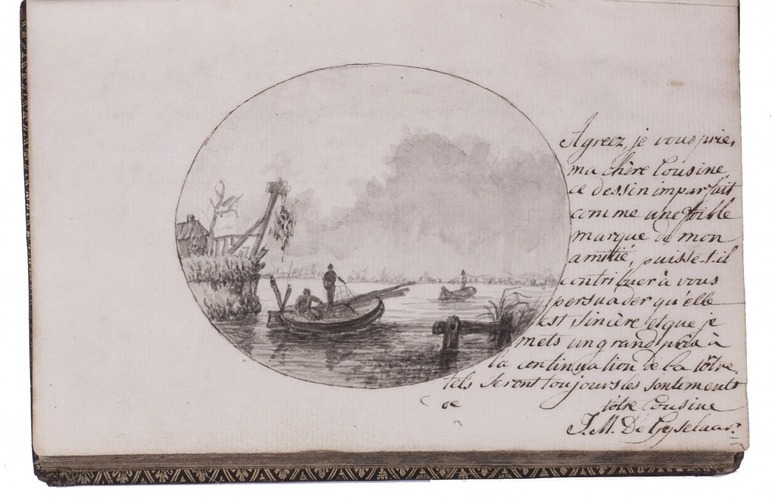 With 3 watercolours of flowers, a small watercolour of roses, and a fine washed pen drawing of a view on a lake with fishermen at work by the owner's niece, J.M. de Gyselaar. Contemporary calf, richly gold-tooled spine and turn-ins, yellow silk endpapers. 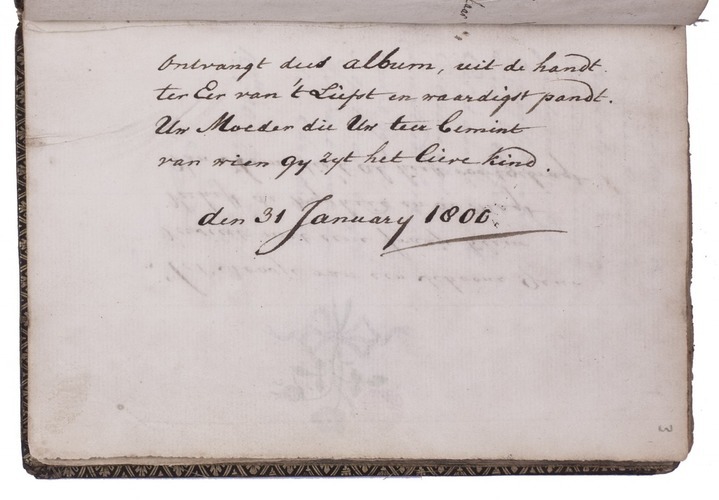 Album amicorum of a young Dutch noble girl: Jonkvrouwe Johanna Maria Nicoletta (Marie) de Gyselaer, with her autograph on back of the first leaf, dated 31-01-1800. 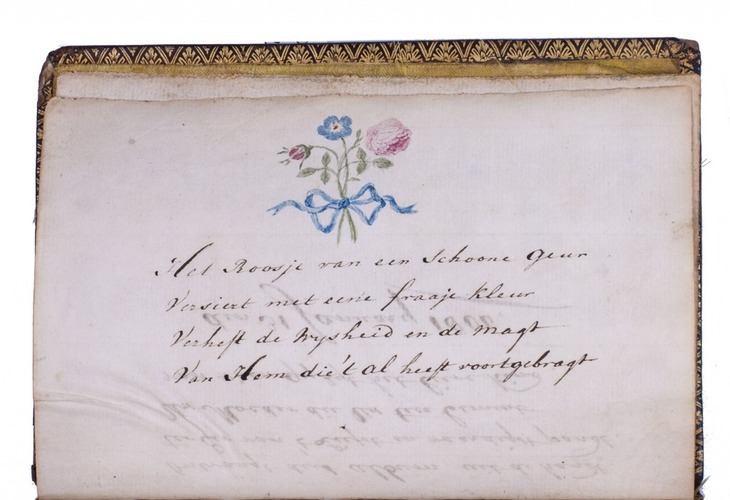 According to the first poem, the album was a gift from the girl's mother, also dated January 31, 1800. The two following contributions are by the girl's parents (pp. 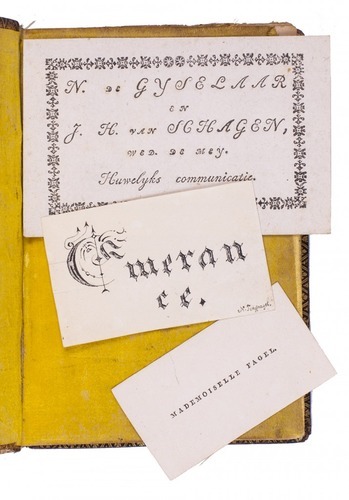 4-5): Nicolaas de Gyselaar (1753-1818) and M.J. (Martha Francina) de Gyselaar (1754-1800), born Collot d'Escury. Her mother was the daughter of Simeon Petrus Collot D'Escury (1719-1800), lord of Naaldwijk en Sliedrecht, and Charlotta Elisabeth van der Burch (1722-1755). Johanna Maria Nicolette de Gijselaer was the eldest of two daughters. She was born in 1785 in Gorinchem and married in 1810 to Lambert Joost Gansneb Tengnagel (1786-1819), who died in Batavia. 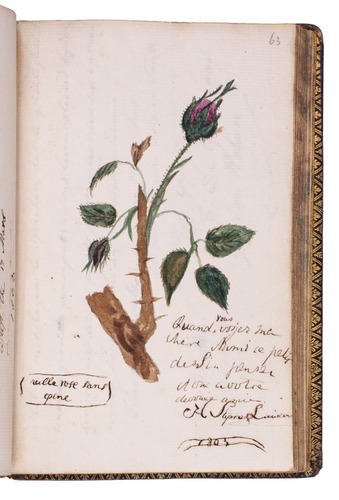 By then, she had long given up collecting contributions for her album amicorum. 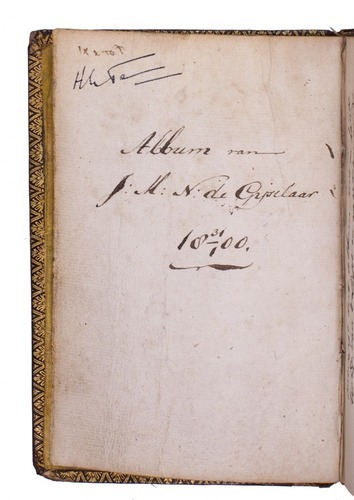 The last entry is dated October 24, 1805. The various contributions, with intervals, and at continuously different places, suggest that the young lady is "coming out", staying with friends and relatives at different places possibly to meet suitable young men. 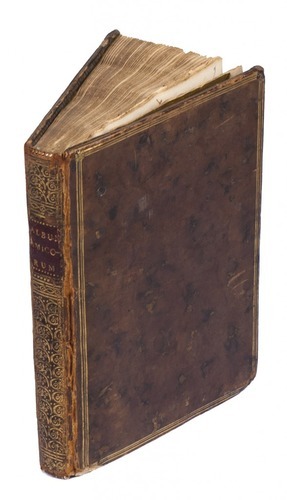 Binding slightly rubbed. Internally in very good condition.